Competitive Swimming. Records, time standards, records holders. We track and publish the highest registered and verified achievements in competitive swimming for junior and adult athletes, both on a short course (in meters and yards) and on a long course (50m). The records’ page provides with filtering and sorting, allowing you to display the achievements in a most convenient way. 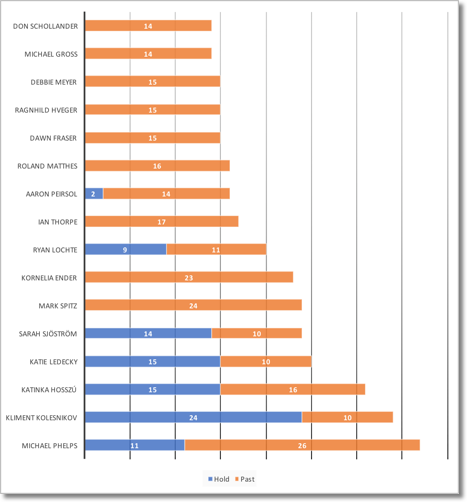 Moreover, for some disciplines our database provides with the history of progress of the highest result. The history of progression is expanded as we process the statistical information from our assets. If you have any valuable records’ statistic and you are willing to share it, please, contact us. 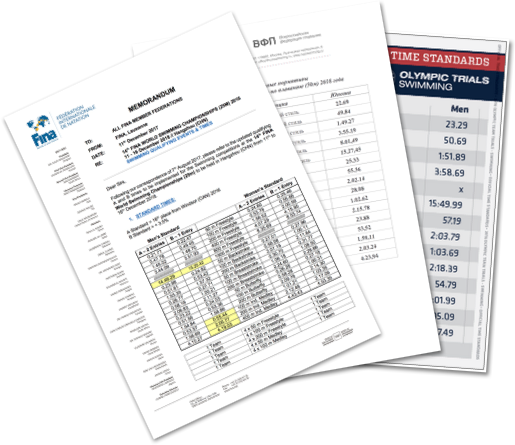 We post on the website motivational and qualification time standards published by national and international swimming federations/clubs. Motivational time standards are most often tied to the Olympic cycle and are updated every four years. Qualification time standards contain the requirements that must be fulfilled in order to take part in a competition. Records with Time Standards are used on the page “to the top” to construct a motivational ladder of achievements. This ladder shows the main steps that must be fulfilled to climb to the top of the world competitive swimming. 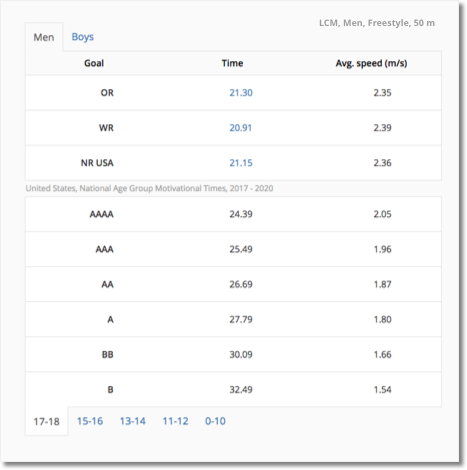 Our database contains athletes who holds and (or) set the highest result in the past for the records which are tracked on this website. The database is expanded as the records are updated or new bunch of statistical data is processed by our team. On the page of the records’ holders there is a filtering and sorting, which allows you to find and display information about the particular record holder.